Electronic Product Design at high volume Consumer Electronics levels is a challenge in its own right. Every penny counts when end-product volumes reach 250,000 pieces per year. 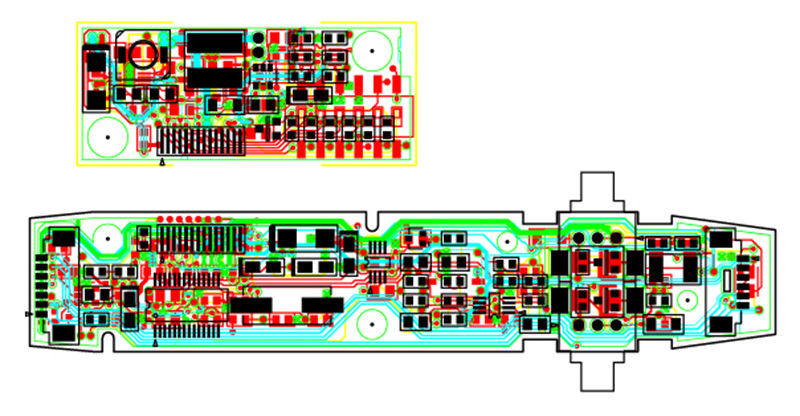 Electronic product design is the art and science of blending low cost component selection with end-product performance. Orchid Technologies is expert in the design, implementation and selection of high volume consumer electronics products. Orchid achieves a product design in which each component is cost-justified and function-justified. Art, science, innovation, experience—high volume consumer electronics design is a discipline accessible only to professionals with years of industry experience and knowhow. Bose Corporation selected Orchid Technologies to design the power controller for its newest audio noise reduction headphones. Orchid accepted the challenge, we designed a low cost controller featuring extended battery life operation, power monitoring and dynamic power conservation electronics, stereo audio volume controls, battery life indication, and alkaline cell operation with 120 plus hours of full-on operation. The entire electronics set had to fit within prescribed ergonomic mechanical guidelines permitting only 1.75 square inches of usable circuit board area. Orchid Technologies selected the Microchip PIC16LF72-I/SS controller for its ability to function reliably at voltages down to 1.80 Volts DC. Careful Microchip PIC Pin selection coupled with precise leakage current analysis and an innovative boot-strapped power management design achieved both extended battery life operation and the ability to provide full functionality down to 1.80 Volts DC. Orchid implemented an innovative two-input, twelve-bit, three-tap IIR Bandpass filter. Running at a PIC clock rate of 100KHz, the IIR Bandpass filter monitors instantaneous battery current and voltage requirements permitting the PIC to control power to the circuitry. In this way battery life is maximized. The development of custom Electronics Technology solutions for our OEM clients is Orchid’s entire business. Low cost, microcontroller-based design with rapid design cycles, demanding technical requirements, and unforgiving schedules set us apart. Call Orchid Technologies today, we’ll put a custom consumer electronic product design in your hand tomorrow too! Making her happy is what Orchid Technologies Consumer Electronics engineering is all about! "We tried low-cost engineering services in China, India and Russia. All failed. Then we found Orchid Technologies right here in New England. Orchid rapidly delivered working product while meeting our low-cost-design objectives. Orchid Tech is a terrific engineering resource and right in our own backyard!"